Auctions are the perfect place to source items that will make your home and garden a better place. 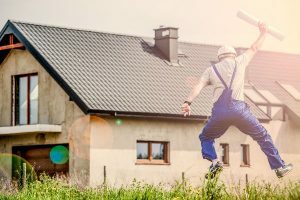 When it comes to renovations, landscaping and tools, the wide variety of goods from top brands that can be found under the hammer can get you started on turning your home improvement dreams into reality. If you are renovating your home keeping to budget is always an issue. What if you could perform all the tasks you have on your list to the standard you have set while coming well under budget? Does it sounds like a fairy-tale? Well, it doesn’t have to be when it comes to buying home and garden renovating items at auction. You can buy a huge variety of items that will help you renovate your home and garden at auction. Such goods include interior and exterior paint, timber, door panels, windowpanes, screens and fittings. Looking to make your garden and outdoor area your own patch of paradise? Auctions can help you save big on essential items to get the job done. Whether it’s pavers, wood chips, gravel and stones, timber decking or synthetic turf you can create all your landscaping objectives at a fraction of the usual retail cost. Cutting costs is a big factor when it comes to improving your home. Perhaps you are after a pergola or a new deck to spend lazy summer days relaxing? Whatever it is you are after, it’s within easy reach with a range of quality outdoor materials available at auction only prices. Probably the most essential items that you will need for your home improvement are the correct tools for the job. Whether it’s hand tools or power tools you can likely find what you’re looking for at auction. Drills, saws, wrenches, hammers, lathes, clamps, jacks, workbenches, safety accessories etc. you’ll find a huge range of tools at the fraction of the price you would get at your local hardware store. And, you’ll find big brands like Ryobi, Makita, Bosch, Black & Decker, Milwaukee, Stanley and more. So, if you’re looking to save big on your home and garden renovations than auctions can deliver the goods. From landscaping to power tools, auctions offer a massive range of quality products that will have your home and garden going from zero to hero at a fraction of the regular cost. Online auctions make it so quick and easy to get started on your plans today. Buying at auction often means prices that start at 1 dollar and sometimes without reserve. Reputable auction houses test their sale items to ensure quality. You can save a massive amount on items for your home and outdoor area if you consider shopping at auction with surplus materials and direct from the manufacturer products regularly going under the hammer. Online auctions allow you to shop from the comfort of your own home and allow 24/7 access to the bidding process, ensuring you get the best deal every time. With pre-viewing a very welcome option, you can make sure you are getting quality products at rock bottom prices.